It’s Easter Week at The Boozy Bakery! Look for some Spring/Easter themed goodies, plus we cranked up production a bit so that we can make sure you get some of the goods for your Easter! 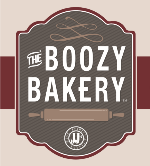 Watch our Social Medias for all of the details on all of the goods – @jjsboozybakery – If you are in need of something special, or for a large group, please order AT LEAST FOUR days in advance – Email kate@jjsboozybakery.com or jean@jjsboozybakery.com for more information! *Please keep in mind that while we do prepare some gluten free desserts, we are NOT a gluten free kitchen.